Unless you just reproduce templates conceived for « perfumery flowers » -- the tuberose in Fracas, the gardenia in Ma Griffe, etc. – translating the true scent of a flower into a fragrance isn’t as easy a proposition as it seems. Most are seasonal: perfumers just have a few weeks, if that, to poke their noses into the blossoms to find a novel way of expressing them. In big labs, they can rely on scientific teams to present them with an array of analyses: headspace captures of the flower at different moments of the day, of its life cycle, or in different locations; spectrographic or chromatographic dissections of the essential oil or absolute. 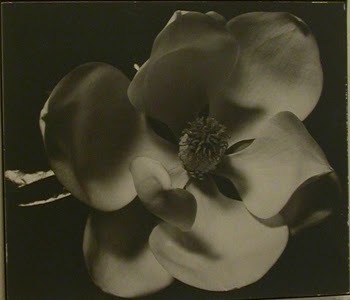 This is what Dominique Ropion studied to cut tuberose loose from its Fracas model in Carnal Flower. He also faced the problem of turning a smell into a “skin” fragrance: the photorealistic reproduction of tuberose, now available as a candle, had to be tweaked while remaining faithful to its olfactory form. The first steps were to write the base of the flower. Its interpretation forms the body of the scent’s construction. 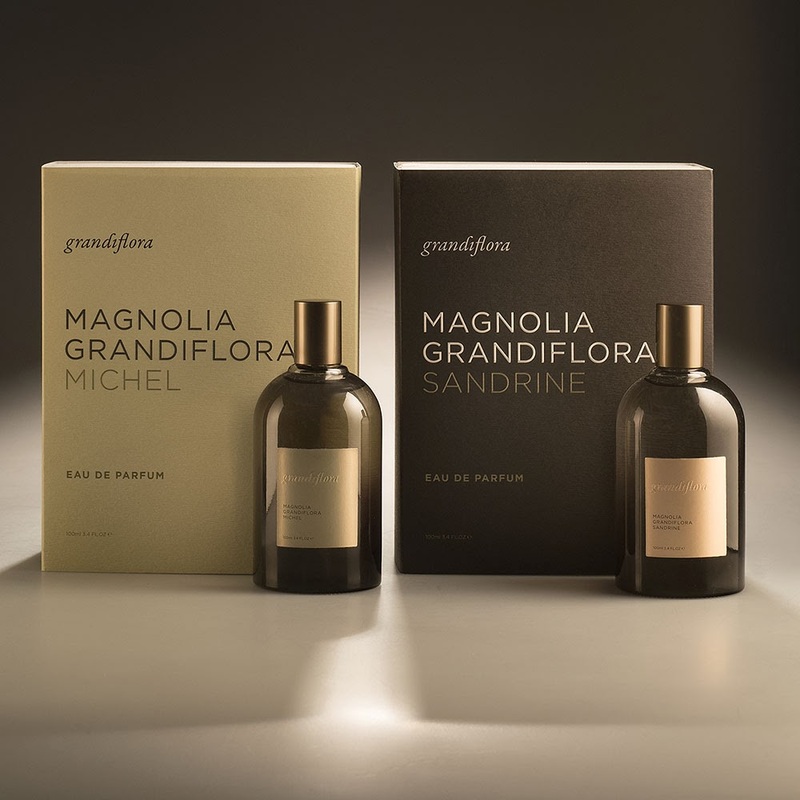 Gradually, by wearing this olfactory body, I played with the different olfactive facets that make up the specificity of the Magnolia Grandiflora. For instance, it’s probably the first time I detect a chypre accord in the flower. I didn’t know it existed in nature. For me, it was the most important thing to say about this Magnolia. Of course, this flower smells of lemon, and also conjures a certain moistness, but there are also fruity notes of melon, watermelon, earthy notes. I consulted Saskia to remind me of the form of this flower’s fragrance, it was easy to follow the tangents and to let myself be mesmerized by its nuances. Sandrine worked on this floral portrait for two years and a half. 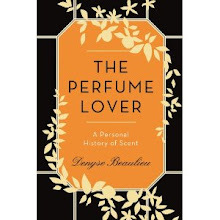 In what were to be her last months, she perfected the formula relying purely on her memory, to achieve a perfectly limpid view of her concept rather than lose herself in countless mods – for her, as for her mentor Edmond Roudnitska, perfumery was a cosa mentale, to reprise Da Vinci’s expression. The result is all the more precious because it is the last offering of this fiercely independent artist. Her uncompromising Manoumalia has as many admirers as detractors. Magnolia Grandiflora Sandrine is the polar opposite: a shimmering, delicate, meditative fragrance with none of the growling skankiness of her creation for LesNez. Indeed, at times, it is almost too quiet, a teasing ghost of a scent you catch out of the corner of your nose, as it were, in a movement or a breeze. An exhilarating squirt of peppery grapefruit overlays a dewy, silky floral with sweet hints of melon and watermelon – though it is in no way an aquatic --, kept in check by the bitterness of the grapefruit note. Though its sillage is mainly rosy, or so I’ve been told, up close it gives off an arrestingly natural feel: not only the flower, but the hazy-moist early summer air that carries its scent, and the sun-heated earth the tree grows in. In short, the portrait of the flower is also a landscape: this is Sandrine Videault’s Diorissimo. Michel Roudnitska’s interpretation couldn’t be more different. As I’ve written earlier, he met Saskia Havekes when she traveled from Australia to launch Magnolia Grandiflora in Paris. She took the opportunity to visit Cabris, near Grasse, where the oil of the scent was put together by Accords et Parfums, the offshoot of the company founded by Edmond Roudnitska, Art et Parfum. The facility is located on the grounds of the Roudnitska estate, Sainte-Blanche, next to the villa where Michel lives. 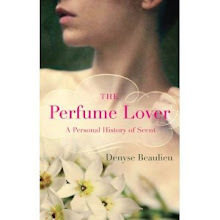 It was then that Michel pulled a newspaper-wrapped bottle out of a closet to show Saskia his own interpretation of the magnolia planted by his father, a scent he’s known since childhood and that has long fascinated him. The temptation of offering this second version, so different yet so intimately related to the first because of its roots in the history of Sainte-Blanche – where both perfumers took their first steps in their art – proved irresistible. Michel Roudnitska’s style as a composer could be described as somewhat maximalist: without playing armchair shrink, it’s likely he wasn’t keen to reproduce his father’s exquisitely balanced aesthetics. His years living in Tahiti must have strongly influenced him as well: it is especially perceptible in the florals he did for Parfums DelRae, like the grandly sensuous Amoureuse with its tropical vibe. Émotionnelle, his interpretation of his mother’s scent, which went on to become Le Parfum de Thérèse, is just as extravagantly vivid and rich. It’s no surprise, then, that Magnolia Grandiflora Michel is a portrait of the flower at its lushest, its waxy thick petals just bursting with juice. Michel’s version is headier, but also earthier and woodier than Sandrine’s, with vetiver and patchouli subtly enhancing the base notes. Vanilla is also detectable: this is crème de magnolia, an almost edible delicacy. Both fragrances are utterly beautiful, and, for want of a better term, I’d call them sincere. The work of two exceptional people whose poetic conception of their art leaves no room for the compromises of commercialism. Saskia Havekes is a lucky woman to have the privilege of debuting in the world of fragrance with such compositions. And perfume lovers should thank her – along with the irreplaceable Michael Edwards, who oversaw the project – for offering them to the world. Magnolia Grandiflora is available at Luckyscent. 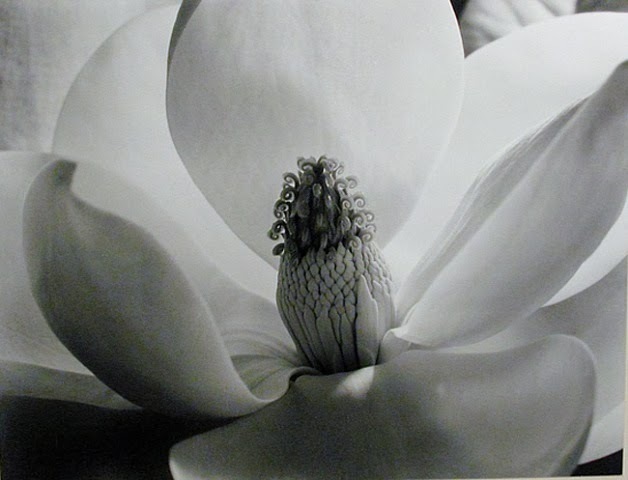 Pictures by Imogen Cunningham and Johan Hagemeyer. Oooo these sound beyond divine....time,to hitch up the buggy and head off to the big smoke! This is such a thrill for an Aussie perfume lover...also a lover of flowers and gardening...most of my garden is deliberately planted for scent. At the moment in what has been a terribly dry summer the divine scents are floating all about. Here's to cosa mentale. One on each arm now. No favourite here. I love Michel's opening and Sandrine haunts me in a beautiful way. What a way to launch! And what a tale of perfumed milestones any which way you look. Sincere - what a beautiful and accurate description. Jordan, yes, the story of both perfumes is unusual and remarkable. I can't say I'm entirely objective about them, given that story. But beautiful, they are. I am very much looking forward to sampling these, wondering which I will prefer (it is practically a given that I will at least LIKE them). I adore Amoureuse (though to be fair, that seems to be the only one of Michel's creations that I do love) and had great difficulties with Manoumalia, as it smelled like lochia to me. But what a rich offering this seems, two views of magnolia... sigh. Thank you for the lovely backstory on these. Sandrine's magnolia, as I said, has nothing to do with Manoumalia and you can safely poke your nose in it without fearing discomfort. It's genetically impossible for magnolia to trigger that, I think. You might find something of what you like about Amoureuse in Michel's version. Fascinating stories and insights into the creative process. It's interesting that both have lived in the tropics - I would guess that's not too common among perfumers (since it's not among the general public). Nozknoz, I know Isabelle Doyen grew up in Tahiti, but no, I shouldn't imagine it's too common. And even in the milder Parisian winter, a breath of the tropics is all too welcome! My Sandrine arrived! Last summer, I sniffed neighborhood grandiflora blossoms as often as possible, and I am pleased to find Sandrine's Grandiflora true to the surprisingly delicate and unsweet scent of these huge flowers. The only other perfume this calls to my mind is another favorite, Puredistance I. They don't smell the same, but both are refined florals that have the most subtle possible touch of an aquatic/melon note, used properly to embody the dewy freshness of flower petals. Heu Nozknoz, glad you reported back, and even happier you love it. I seldom have the chance to smell the real thing (no neighborhood magnolias in my corner of Paris), so it's good to know the scent captures it. I did get the feeling there was a very natural vibe to it!